Hermes Velo, Aug.33/PRPlanetaryCrusader-Satellite/- Will the World’s Fastest Drummer returns to planet Hermes Velo for a homecoming celebration as never before witnessed on the planet of speed. ‘Our Will’ comes home briefly from his earthly crusade, ‘The Beat of life’. ‘The Beat of Life’ is based on what his family taught him about the power of heart. “Although my Dad was the fastest tree man before he retired on Velo we were still really poor sharecroppers. We lived in a tree house at the center of Velo’s only forest reserve. As a little kid my dream was to become the World’s Fastest Drummer, but my Dad didn’t have the money to buy me a pair of titanium sticks that the competitors used. Dad saw the determination in my eyes, so he cut a magic pair out of the foundation limb supporting our home.. That night I made a promise that if I became the World’s Fastest Drummer I would beg the king to grant me permission to spread the universal word that the drums are the beat of music, but your heart is the beat of life!” said Will the World Fastest Drummer. 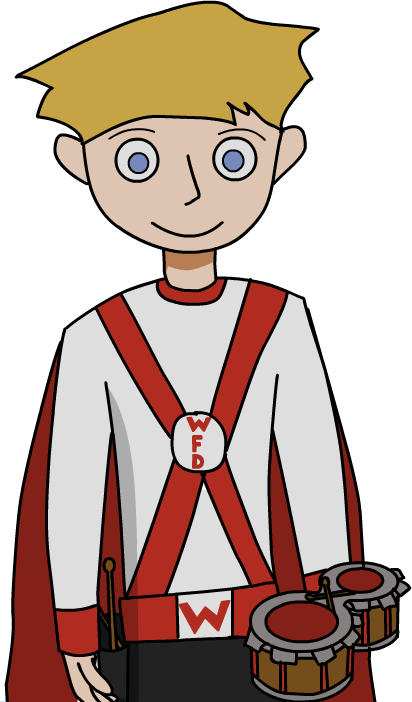 Will’s heart felt message for kindergarten kids and younger has produced an animated short, an online interactive game and Will the WFD toy drum. What next? A Will the WFD TV show and costume character? 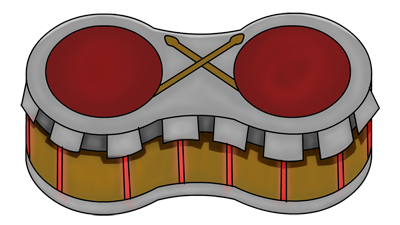 Will as an IP, certainly should make a ‘huge hit’ for any children friendly entertainment company or network. A true director of development and acquisitions dream! All Velotians are invited to Will’s Homecoming Saturday at 2:00 pm on Main Street in downtown Velo City to honor this true planetary crusader!